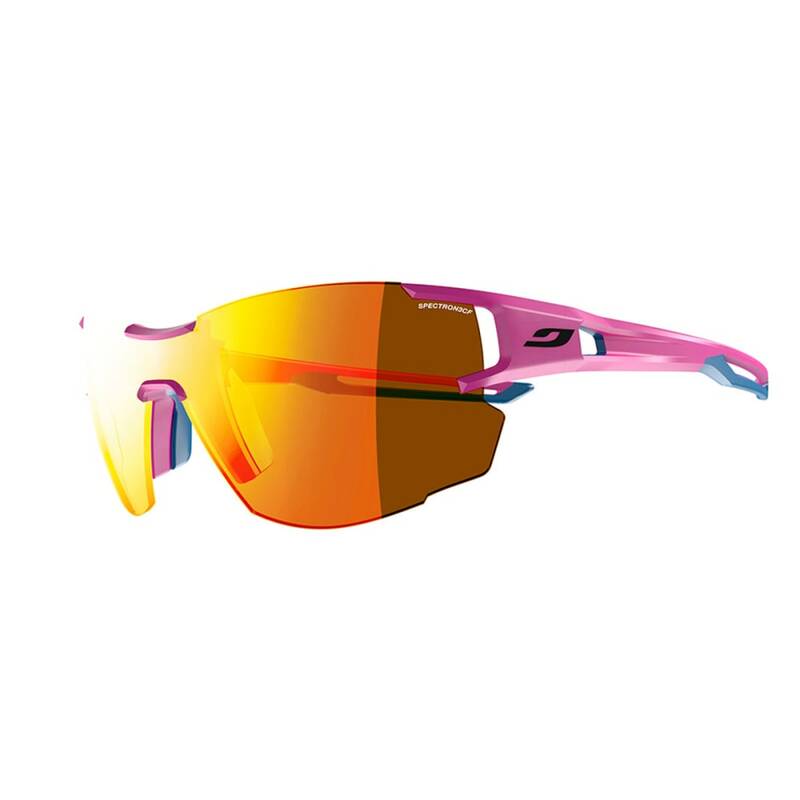 Lightweight sunglasses specifically designed for women and runners with smaller faces. The Aerolite is directly derived from the Aero model, the go-to frame for trail runners. They offer the same qualities of hold and ventilation, but with a rimless lens for even more lightness and a tremendous feeling of freedom. The Aerolite comes with both our photochromic& Spectron lens options so you can stay focused and go further in all conditions. RX Clip: Julbo offers a prescription clip-on. RX Clip Adaptable to different sunglass frames, removable when needed. Women’s Vision: Designed for female faces.